April | 2010 | Larval Subjects . 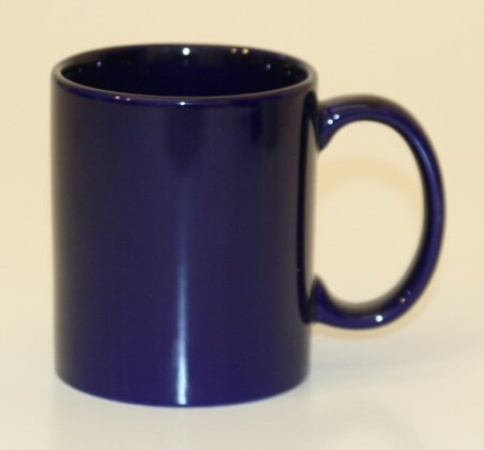 It seems that for some reason or other I am always waxing on about my blue coffee mugs. In part, I suppose, this is because my coffee mug is always nearby, within reach of my hand when I am sitting at my computer and readily available for my gaze to alight upon. In part, this is because coffee mugs are familiar furniture of the world and are therefore ideally suited as an example. Finally, and I find this to be odd, this is because my blue coffee mugs fill me with a deep sense of warmth and comfort. Given that I generally detest the color blue (I have an almost violent emotional reaction to the color in many instances), I find this surprising. At any rate, it was with great surprise and no small amount of nervousness that I this week discovered that a student is writing his dissertation on my thought as well as the thought of Manuel DeLanda (who is, of course, a deep inspiration in my own work). In certain respects, this marks a sort of bifurcation point within the blogosphere. Theorists such as Walter Ong, Friedrich Kittler, and Marshall McLuhan make much of the transition from oral cultures to written cultures and it could be that we are perhaps witnessing a similar transition with respect to internet thought. My initial reaction was to suggest that he abandon this crazed idea and work on something more fitting, but who knows. All this narcissistic horn tooting aside, as I reviewed his dissertation abstract and breakdown of chapters, I was exceedingly pleased to see that he has tentatively entitled one of his chapters “We do not Know what an Object or an Assemblage Can Do”. This is, of course, a reference to the opening of the third book of Spinoza’s Ethics where he cryptically remarks that we do not know what bodies can do. There are a couple of reasons I find this title so gratifying. On the one hand, this dictim goes straight to the heart of my thesis that objects are split between their virtual proper being and their actual local manifestations. In a number of respects it is the core idea behind my concept of objects. On the other hand, I don’t feel that I’ve made this point clearly enough. I am thus grateful and relieved to see that someone else has recognized this thesis at the heart of my work. I am just now hearing about the disgusting events taking place with the Middlesex philosophy department. If there is anything I can do, just say the word. Given the quality of the work that comes out of that department this is simply unbelievable. Our hope is that Jane Bennett will contribute as well given the close proximity of her work to our own, though we haven’t heard back from her yet. I’m extremely excited by this collection and am especially pleased that it will be available in both an open access format and book form. We plan to collect the first drafts of the papers somewhere between mid-June and the end of June so the collection should be available fairly soon. My interview with Peter Gratton is now available over at Philosophy in a Time of Error. In response to Graham’s question, yes, the interview was conducted last Wednesday, prior to attending the Georgia Tech symposium. This is neither here nor there, but I just found this subterranean ant colony completely amazing and had to share it. Make sure you follow the video through the the excavation of the abandoned colony (around 1:15). Speaking of Bogost, here’s his interview with Peter Gratton. There are some nice sneak peaks at the alien phenomenology he’s currently developing. I am just now discovering Ian Bogost’s Latour Litanizer which he created back in December of 2009. Bogost’s Latour Litanizer generates random lists of objects drawn from wikipedia. Now, it seems to me that there is something philosophically important going on with the Latour Litany. Latour litanies are not simply amusing lists of objects, but do important philosophical work by performing a sort of object-oriented epoché. Often when philosophers speak of objects– including object-oriented ontologists –we use the blanket term “object” without referring to any specific or concrete objects. The danger here is that discussions of objects are implicitly governed by a prototype object that functions as the representative of all objects. Cognitive psychologists treat prototypes as specific examples that function as representatives of abstract concepts. Think back to the 80’s and the dire Reagan revolution. Many readers will recall all the talk of “welfare queens” that continues down to this day in discussions of social programs. Welfare queens were mythological single women on welfare who had multiple children (to get larger welfare checks, the story goes) and who used their money to buy expensive things like cadillacs. In short, the non-existent welfare queen came to function as a prototype or exemplary instance representing all people on welfare. This prototype caused much mischief in welfare debates and subsequent legislative reforms. Here then we encounter the importance of Latour’s litanies. What Latour’s litanies effectively accomplish is an annulment of prototypes that come to stand for the being and nature of all objects. Through the creation of a litany of heterogeneous objects, the object theorist is forced to think that heterogeneity as such rather than implicitly (and often unconsciously) drawing on one prototypical object that functions as the representative of the nature of all objects. Here we might think of Borges’ entry from a Chinese encyclopedia discussed so brilliantly at the beginning of The Order of Things. The Latour litany is a technique for thinking this a-topos, this heterotopia, that follows from the central claims of flat ontology. And this task is accomplished all the better with a randomizer such as Bogost’s Latour Litanizer which confronts the thinker with heterotopic configurations of objects not of her own making, demanding the thought of this heterotopia. I’ve placed Bogost’s important piece of philosophical technology– and it is a piece of philosophical technology, not unlike a microscope for the biologist –in my blogroll. Experiment with it. Bogost’s Latour Litanizer might be the first genuine piece of laboratory equipment ever created for philosophy.